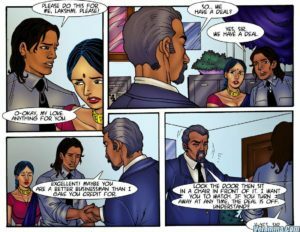 Velamma decides to surprise Ramesh by bringing lunch to his office. She walks in and finds out that his boss is about to fire him. 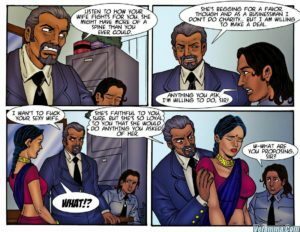 The boss however agrees to change his mind if Ramesh and Velamma agree to his demands.